In the last two weeks, a substantial number of properties have come on the market. 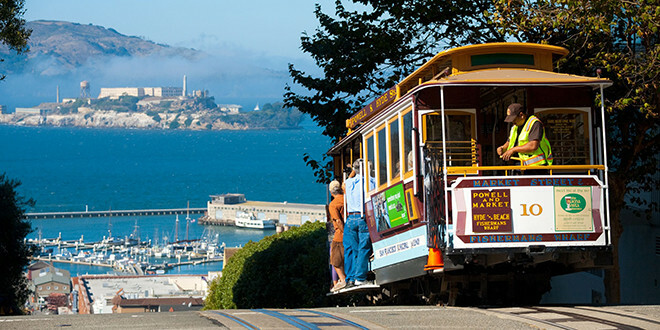 The Broker’s Tour outlines the properties agents can view on a given Tuesday in San Francisco. It literally doubled in its number of pages from about 14, which it has hovered around this past year, to 28 pages the second week of September! My buyers who were frustrated by not finding any properties they liked suddenly jumped off the sidelines and started writing offers. One thing that has made San Francisco a challenging market for buyers is the prevalence of non-contingent offers. Every offer has a section for contingencies, that is, things that if they occur, permit the buyers to break off or modify the offer. Typical contingencies include the ability to find bank financing, or to inspect the property for problems. In the recent heated San Francisco market, offers have frequently become “all-cash” (no bank loan required), or “non-coningent” (meaning that no matter what is found out, the buyer must complete the sale). One way that the buyer can be made comfortable making a non-contingent offer is by carefully reviewing the “disclosure package” provided by the seller which reveals everything the current owner knows about the condition of the property (from construction issues to deaths on the premises). In addition, in advance of listing the property, the seller might even have inspections performed by a reputable company. These disclosure packages are requested by interested buyers. This past week, two buyer couples I represent wrote offers. The first couple wrote on a two bedroom starter home in Bernal which had 10 disclosure packages out and received 7 offers. The prevailing offer was non-contingent, leaving my clients’ offer behind since their offer had a financing contingency. Another thing to understand is the offer process. When someone lists a home, it is not technically an offer to sell, it is an invitation to make an offer (that is why sellers are not required to sell at the price they list at). The prospective buyer must make an offer to buy, which the seller can either accept or reject. Frequently, a seller can make a “counter-offer” which lists some modifications to the buyer’s offer. The buyer can then accept or reject the seller’s “counter,” or provide their own counter. San Francisco further frequently has a situation called a multiple counter-offer, where the seller sends out a counter-offer to more than one prospective buyer, setting off another potential round of bidding by the buyers. No wonder buyers can get so frustrated! The second couple I represent wrote on an Edwardian top floor two bedroom condo in Cole Valley which had 7 disclosure packages out and received 5 offers. Their offer, which was non-contingent, tied with another so they were both countered. Since they were hesitant to go over the counter price and the other buyers did, they are now in first back-up (if the deal falls through they get first shot). One more thing about the San Francisco market: offer dates. In a competitive market, a seller will set an offer date on which all offers will be reviewed. This turns the process into a type of blind auction. Speaking with other colleagues, I discovered that last week a popular home in Bernal received just one offer on its offer date (however a very good one) and a lovely three bedroom home in Cole Valley with an offer date received no offers. Earlier this year, these properties would have likely received many more offers and the offer date for the Cole Valley home would not have passed without offers. The increase in properties coming on the market has given buyers more options, apparently resulting in less competition for individual properties. While it still appears one may need to write a competitive offer, likely non-contingent, for some properties, there now will be some opportunities out there for buyers to write less competitive offers where properties are not getting offers on their offer date. I am also seeing more price reductions and properties taking “offers as they come.” The tables may turn and the buyers may get their way this fall or at the very least the market may become a little more normal. Previous: SF Real Estate Profits Soar!